Anxiety in MS doesn’t appear to be from the physical side of the disease. It seems to stem from the realities of living with the disease. People with MS know the unpredictability and difficulty of the disease when trying to plan and prepare for the effects on your life. This is what drives a persons anxiety! I have many personal thoughts about anxiety. I’ve suffered with anxiety for 20+ years. I’m always telling myself…you’re worrying about nothing and you should just forget about it. The IT I’m talking about is the monster people create in their minds. IT is something which is usually not even worth thinking about! I’d laugh but I don’t think it’s that funny anymore. Anxiety may be caused by a mental condition, a physical condition, the effects of drugs, or a combination of these. The doctor’s initial task is to see if your anxiety is a symptom of another medical condition. Panic disorder – in addition to anxiety common symptoms of panic disorders are palpitations (feeling your heart beat), dizziness and shortness of breath. These same symptoms also can be caused by coffee (caffeine) and amphetamines (“speed”). It can also be caused by an overactive thyroid, abnormal heart rhythms and other heart abnormalities (such as mitral valve prolapse). The doctor has the often difficult task of determining which symptoms come from which causes. For example, in a study of people with chest pain (a sign of heart disease) 43% were found to have a panic disorder and not a heart related condition. I can date my first anxiety attack all the way back to September of 1985. I was 27 years old then and I managed two racquetball clubs in southern Minnesota. 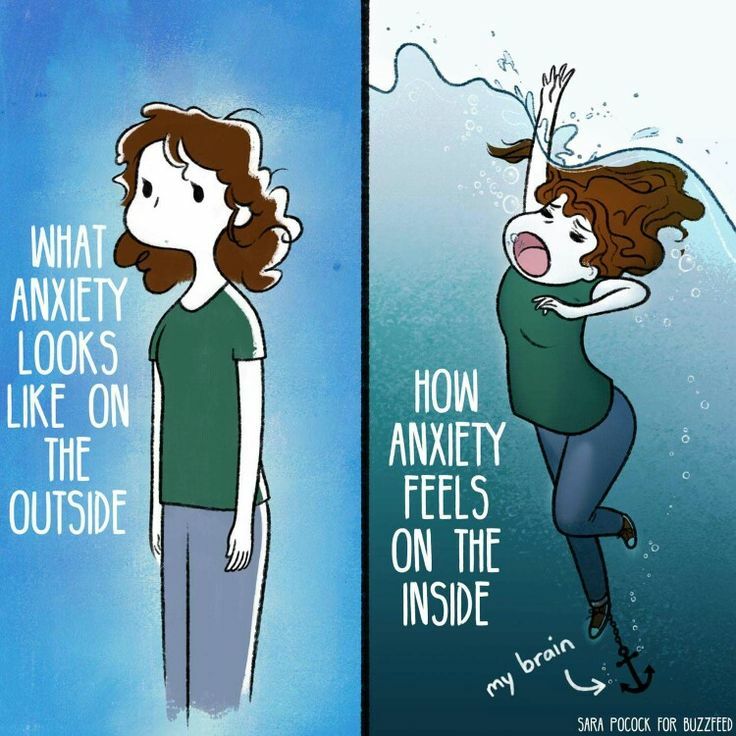 When I had my first anxiety attack I knew what the word anxiety meant but not what it was all about! In hindsight, as much as I loved the health club business I think it had everything to do with my anxiety attack in September of ’85. Like other businesses racquetball clubs in the 80’s had to keep up with the times. Clubs wanted more paying members so they were adding more activities and equipment like weight machines, free weights, aerobic dance, etc. The owner of the clubs and I made some plans with the hope to change the clubs for the better. Aerobic dance was going crazy across the USA. We had aerobics at each club but we wanted to make it better! With little money we had to make improvements and changes to the clubs with what we had. Unfortunately for me, all this planning and improving the clubs was starting to raise my anxiety level. In early June of ’85 I had a member at one of the clubs named Terry. He was VERY SMART at designing and building structures. He had previously owned and built metal silos for farms in southern Minnesota. He could build anything! It was amazing what he could do! We decided the first thing we’d do was take out the common wall of two racquetball courts making one big racquetball court or one big activity room. We replaced florescent light bulbs and Terry sanded and coated the floor. We then hung mirrors that covered 3/4 of one wall, added a music system, floor mats and viola…we had converted two racquetball courts into one big aerobic/activities room. We weren’t done yet…! Terry taped and painted lines on the floor for a basketball court. He then took a basketball hoop and backboard and hung it at regulation height. We then could have basketball shooting and leagues. The room was so big. I was thinking of activities we could do like health fairs, cooking classes, body composition testing, etc. Lastly, we added free weights in the lower level of the clubs to go with our current weight machines. In the end both clubs looked Fantastic and we’d added needed room for various activities. I had to do all the planning and buying of supplies for the two clubs. I was ordering building materials, new lights, mirrors and anything else that was needed. I also had to make sure the clubs remained open when we did all this. I must have been crazy! I remember climbing scaffolding 20 feet high to help install florescent lights and using a SawZall to cut down the common wall. I’m just assuming this must have been kinda stressful for me? It seemed at times I was being pulled in ten different directions! It ended up taking the whole summer of 1985. When it all done though both clubs had beautiful aerobic/activity rooms to be very proud of! To save money at the clubs I would also change the filters in the air conditioning units on top of the buildings. I’m mechanically inept but I tried to do some of the light maintenance and changing filters was easy to do. At one of the clubs I could get to the roof by climbing a ladder inside the maintenance room. The roofs were flat and large so I felt safe up there. In September of 1985 I finally must have lost it! When I was climbing to the roof to change filters something strange happened. About halfway up the ladder my heart started racing. My legs became weak, I started sweating and I was a little lightheaded. I thought it better not to be walking around on a roof. I climbed back down and sat down in my office. I remember taking deep breaths trying to slow down the runaway train in my chest. I was in great physical shape back then and my heartbeat was usually 50 beats or less per minute. I thought “could I be having a heart attack?” I didn’t think so but I’d read about weird heart attacks so anything was possible. I was so young and healthy that it just didn’t seem possible. I’d never felt these symptoms before. After sitting down in my office for 30 minutes my heart stopped racing. My cold sweat and light headed feeling also subsided. My mind wondered what the heck was wrong with me! I remember taking it easy the rest of the day doing office work and helping members. I had no more problems the rest of the day. The next day though I scheduled an appointment at the Mayo Clinic in my hometown of Rochester, MN. The city of Rochester, MN was only 90 miles away so I could get a checkup and visit my parents. The next day I went to the clinic and took many tests. The doctor also had me wear a heart monitor overnight so he could see what my heart was doing. The following day I dropped off the heart monitor at the clinic and drove back home to Mankato. I used to be a high strung guy. I remember telling myself not to get so wound up and take things easier. When the Mayo tests came back there was nothing wrong with me! I was in great shape and my health was good. The doctor also said I might want to take a look at some stress management classes. The words anxiety, panic, nervous illness or panic attack were never mentioned by the doctor. It wasn’t until 1988 I finally read about panic attacks at my local library. It was then that I finally realized what I’d had climbing that ladder in 1985. It was an anxiety attack! This was probably do to stress from managing/remodeling the clubs. I didn’t get diagnosed until 1991 but I think my MS was starting to develop. Heat is and was my enemy and it was pushing 90 degrees on the ladder climbing day! In hindsight, I think the heat, the stress from remodeling the clubs and my future MS gave me the panic attack at the club in 1985. That was my first panic attack and wouldn’t be my last! My anxiety wouldn’t return until the 90’s.